Jessica and Casey's fateful encounter occurred (thanks to her sister) when they were introduced at a casino club in their hometown of Mississippi. No doubt, sparks flew instantly and their hearts connected but the universe had its own agenda and the timing just wasn't right. Before they could explore their curiosities + possibilities of this connection, Casey moved to Nashville and Jessica remained in Mississippi to complete her college degree. But like the truest of love stories, fate took it's course and after three long years the two agreed to hang out in Nashville. They quickly discovered that the sparks had remained and their connection aflame. Casey returned back to their hometown and the two have been inseparable every since. 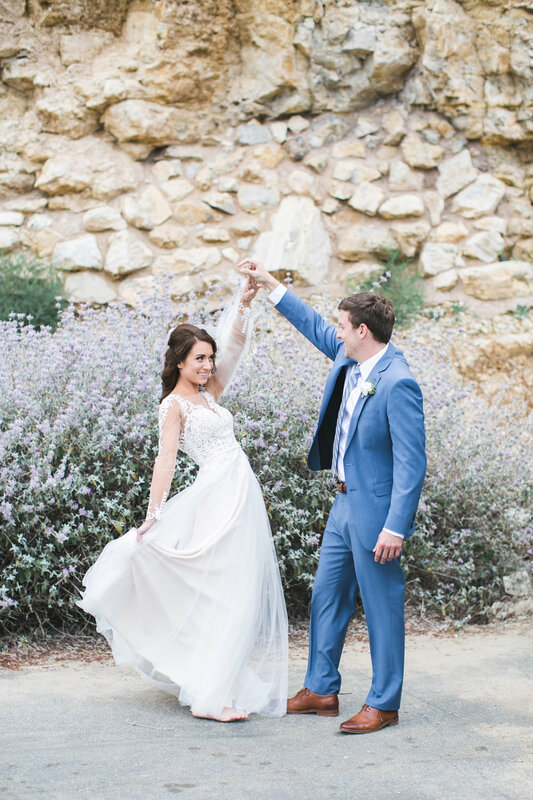 Jessica and Casey chose to have a destination wedding away from their hometown and in the breathtaking glass church of Wayfarer's Chapel nestled in the hills of Palos Verdes Estates, California. 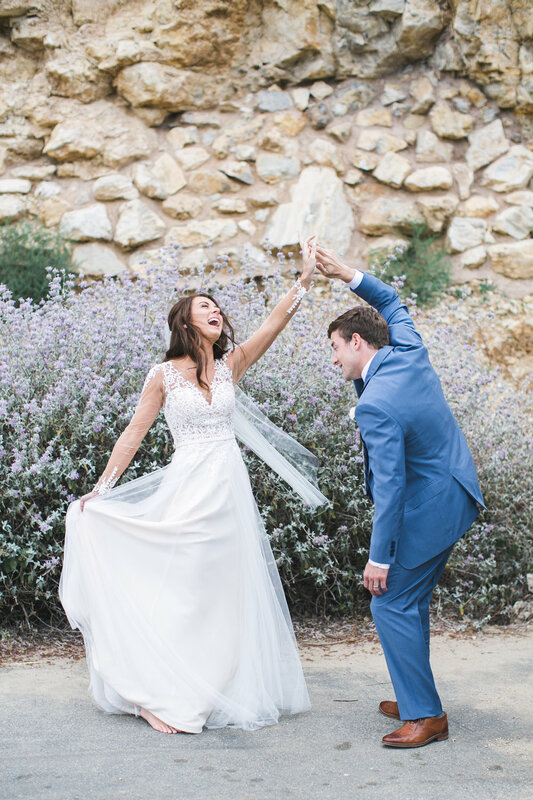 Following their ceremony, they held a small and intimate reception dinner at the romantic Mar'sel at Terranea Resort, with a stunning view of the Pacific Ocean. Jessica + Casey, standing amongst your family and friends made me realize that what the two of you share is nothing short of magical. Your warm and inviting personalities draw people in and we just can't get enough. For this and so much more, thank you for allowing me to document your wedding day. The two got ready at the Shade Hotel located in Redondo Beach. They had a HUGE tub on the balcony of their ocean front room! Ocean front view from their room! Jessica getting her make-up done by the talented Dana of Cheek to Cheek Make-up. Not only were Jessica's sisters/bridesmaids GORGEOUS...they were also so fun and full of life! Jessica had EXCELLENT taste. These two piece bridesmaid dresses AND her wedding gown was AMAZINNNGGG. They were just full of laughs and giggles! They LOVED Dana (I mean who wouldn't) and insisted on a photo with her but could hardly contain themselves! Such a gorgeous bride inside and out! Meanwhile, Casey getting ready close by. Last check before heading to the chapel! The glass structure of the chapel allows the perfect amount lighting to enter in. Even her toes are perfect! UGH. And these shoes!!! Oh hey, that's me running around everywhere. Thanks for the capture, Alex! Casey and his brother. Good looks run in the family it seems! The two being silly which gave me some pretty great shots! I'm dying. Look how happy they look! After the ceremony, we made our way to Mar'sel at Terranea Resort where they held their small intimate reception dinner. Jessica and and her bridesmaids decorated this beautiful dinner area all by themselves. So beautiful. I always focus on capturing all the details of the wedding day including the small ones because I know how much every piece means something to the bride and groom. I was hoping the whales would come by during their reception but I don't think they were in the entertaining mood. During cocktail hour, I stole the bride and groom for a more intimate couple session down towards Terranea Cove. Love taking couples to this spot! Head throwback laughter from Jessica because Casey insisted on being twirled too! I love it when my clients get comfortable and goofy!